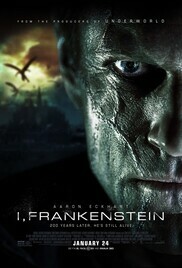 Plot: Dr Victor Frankenstein dies frozen to death and the creature buries him at the cemetery of his family. However he is attacked by demons but he kills one of them and Gargoyles save him and take him to a Cathedral where the Gargoyles Order gathers. The Queen of the Gargoyles Leonore keeps Dr.